Phase One Capture One 4 comes in two versions. The Pro version offers not just RAW conversions but tethered studio shooting using Phase One's own digital backs. The cheaper version, reviewed here, is simply a RAW converter for DSLR images. 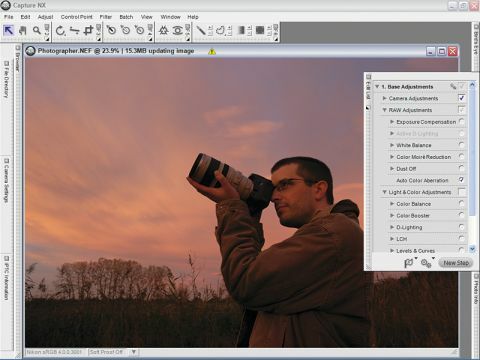 Capture One has long been renowned for the quality of its conversions, and version 4 adds new features. These include 'high dynamic range' tools to control shadows and highlights individually and the ability to create 'variants' with different processing settings applied, and without creating new files. You can also crop images, adjust Levels and Curves, organise images into albums without changing their actual folder locations and create web albums and contact sheets. Capture One's way of working may confuse those used to working with single images. It's really built as a 'workflow' tool for importing, examining, adjusting and processing images. When you 'open' an image in Capture One, you can't 'save' it in the usual sense. Instead, you 'process' it to a specific folder of your choice. You can then set Capture One to open it automatically in your favourite image editor if you like. The RAW conversions are excellent, with low noise, high sharpness and easy adjustment tools that enable you to get good results quickly. However, the workflow model is fairly simple and based around a straightforward folder system on the computer. Its RAW conversions are very good, though, and it's particularly effective at sorting, rating and batch-processing large numbers of photos after a shoot.